So this summer’s vacation has been canceled because of work, or there is no trip to a tropical paradise planned this year, or maybe the weather is just really blah. Well, no matter what’s in store for you this season, you shouldn’t have to pass up on a healthy-looking tan! Here are a few tips to get your skin glowing without sun exposure. The market is flooded with great sunless tanning products. Their benefits are plenty: no sunburns, no sun damage, and no premature aging! 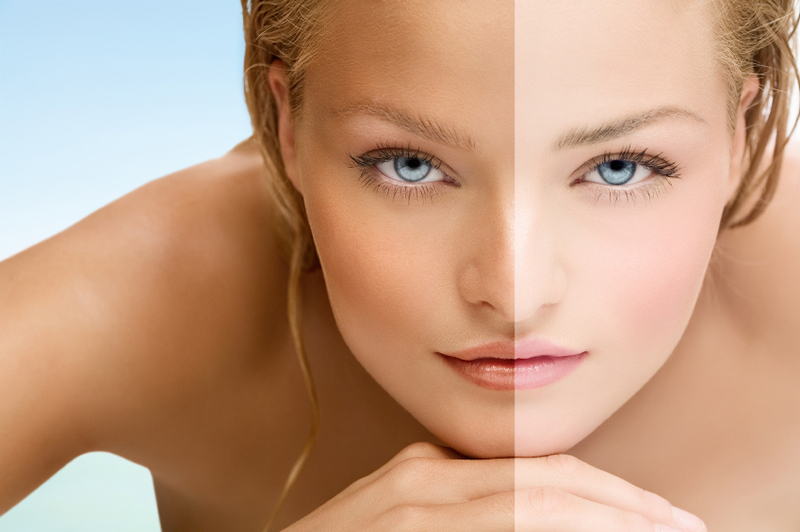 Sunless tanning products come in a many different varieties as well as skin color shades. For example there are lotions and creams, the benefit of which comes by way of the ease of application. Another bonus is that it’s easy to spot where you have applied the cream or not, where spray products might make it more difficult to see and missed spots. A sunless tanning spray must often be evened out, which can make them a bit messier. Some women find the application process is simpler overall. Try out different products to get a feel for what works best for you. You can also now buy sunless tanning wipes — a personal favorite of some of the SheKnows editors. Why? They leave your hands clean and are very practical to carry along in your purse! The best way to apply the cream is to put a small amount on your palm and work from the feet up. Shift from the left to the right side as you are working your way up. The back can be tricky if your hands are not super extended; the easiest solution is to ask someone for help. Try to go easy on the elbows and knees. You won’t want to reapply the self-tanner here as much; the skin is thicker on these areas and the tan might end up looking a lot darker than the rest of your body. Nowadays, most self-tanning products don’t leave any stains on your clothes. Still, give it at least a few minutes before putting your clothes on to make sure the cream or spray has dried properly. Some experts say you should wait up to 30 minutes, but again, it depends on the particular type of sunless tanner you’re using and how cautious you want to be. Of course this varies from product to product, but normally a sunless tan should last for at least 3-4 days. For the best and longest-lasting results, a good idea is to reapply every other or third day. It’s also good to remember that a lot of sun tanning creams do not contain sun protection. So if you are heading out into the sun, make sure to use some sunscreen too.